Professional pharmacy technicians give pharmacists the freedom to assume an expanded role that includes counseling and the delivery of clinical services. 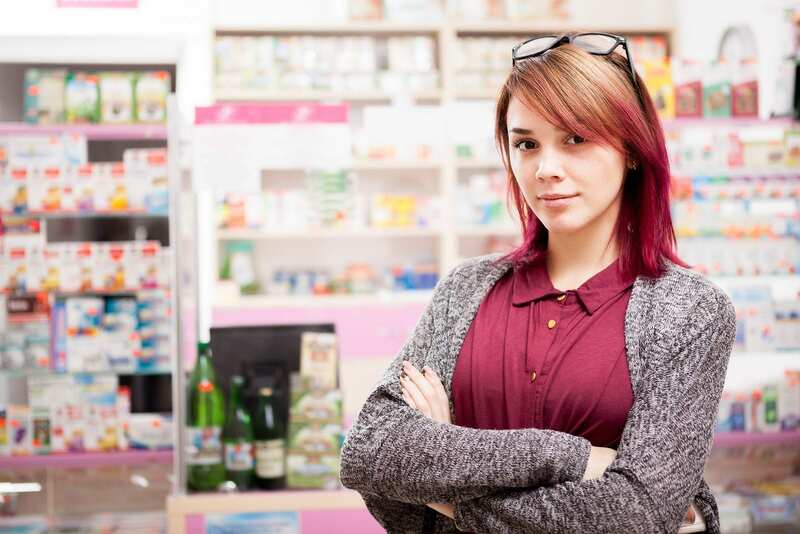 Pharmacy technician training and certification prepare technicians to manage the technical aspects of preparing and dispensing new and refill prescriptions. The program covers several hundred hours of theory and practical instruction to prepare students for success on the PTCE and employment in various pharmacy settings. Diploma programs may be completed in one year or less while those culminating with the associate degree can be extended to 18 months. Technicians must develop a well-rounded skill set to dispense medications. They must be dependable, committed, trustworthy, attentive, and detail-oriented to meet the objectives of the pharmacy, which includes the safe and effective administration of medications. 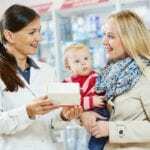 In the operation of the pharmacy, technicians must foster professional interactions with customers and comply with the state and federal regulations that govern practice. 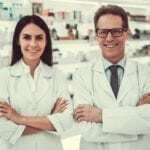 The duties of a pharmacy technician include answering patients’ questions, reporting adverse reactions to medications, processing and filling prescriptions, collaborating with physicians, reviewing medication orders, liaising between patients and insurance companies, assessing and maintaining inventory, maintain patient profiles, and preparing intravenous solutions. To be successful in the profession, technicians must be willing to follow directions, demonstrate effective communication, and have mathematical proficiency. The pharmacy technician program at TCAT provides students with the technical instruction and skills development to become gainfully employed in the pharmacy industry. The curriculum is accredited by the American Society of Health System Pharmacists (ASHP). Through a combination of classroom lectures, hands-on learning opportunities, and a pharmacy externship, students learn how to assist pharmacists in a variety of pharmacy settings. Graduates receive a pharmacy technician diploma and are eligible to sit the Pharmacy Technician Certification Board’s (PTCB) certification exam and receive the CPhT designation. Applicants must meet all the requirements to enroll. These include a completed TCAT application, a high school diploma or GED, proof of immunizations, and a passing grade on the HESI Assessment. All students must be at least 18 years and undergo a drug screen and criminal background check for the pharmacy externship. The diploma program requires completion of 1296 contact hours. The daytime-only program may be completed in 12 months. Tuition for the program is $3,648. Books and supplies cost an additional $782. The pharmacy technician diploma program at Daymar College prepares students to become pharmacy technicians. Students develop the skills to support licensed pharmacists in a variety of pharmacy settings. The program offers the general education and computer skills to develop competent technicians. Students must successfully complete 72 quarter credits to graduate with a diploma. Course topics include medical terminology, anatomy and physiology, microbiology, pathophysiology, medical law and ethics, pharmacy operations and claims, pharmacy terminology and calculations, and compounding aseptic techniques and non-sterile compounding. Students must complete the general education requirements, computer literacy requirements and the internship or capstone requirement to complete the program. The curriculum is designed to be completed by full-time students in 14 months. Applicants to the pharmacy technician program must complete all enrollment documents and college disclosure forms, provide proof of high school diploma, complete the Verbal and Quantitative sections of the Wonderlic Basic Test, provide proof of immunization, and submit to a criminal background check and a drug screen. Tuition for the program is $22,000. Students enrolled in the pharmacy technician program at EduMed Partners, LLC will receive the knowledge base to receive an entry-level position in healthcare. Graduates will be able to perform duties that support pharmacists, such as maintaining patient records, receiving and filling prescriptions, handling insurance claims, and customer service. Students learn how to weigh, count, measure and mix medications, perform pharmacy calculations, calculate dosages, package and label medications, and use pharmacy computer systems. Instructors will emphasize accuracy and professionalism. Graduates will earn a certificate of completion and become eligible to sit the national certification exam to become a Certified Pharmacy Technician (CPhT). Admission to the program requires a high school diploma or GED, an admissions interview, a passing score on the admissions assessment, payment of the $300 registration fee, and the tuition deposit. Students must purchase the course supplies, such as a stethoscope, pharmacy calculator, and BP cuff for MA. Tuition for the program is $4,160.